Now that The Defenders is done with, we’re already on to the next chapter in the Marvel/Netflix saga: the return of Jon Bernthal’s vigilante killer Frank Castle in The Punisher. We already got a brief look at the series at the very end of The Defenders, but here’s your first proper look at the man himself, suited and booted. 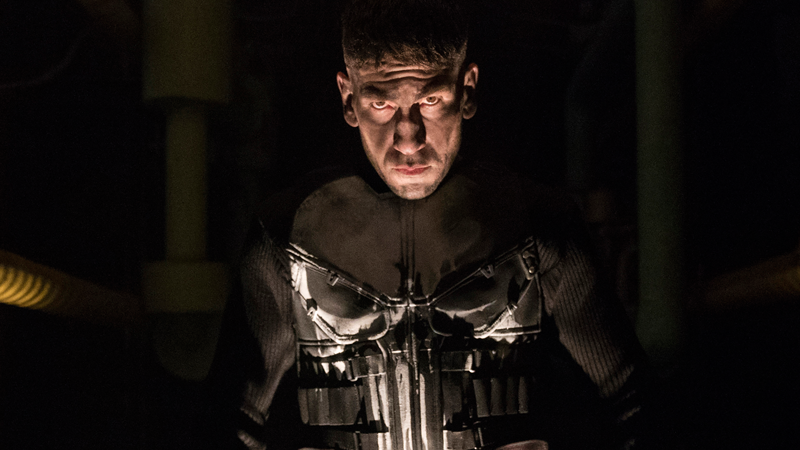 Released by Netflix today, the image gives us a sinister-looking but stripped-down Punisher, whose typical overcoat is missing here. But still intact? That big, bulky, skull-covered armor that we saw in set pictures a few months ago, and it’s still looking pretty glorious. Check out the full picture below, and click on the magnifying glass in the top left to see it in high res. The Punisher hits Netflix later this year.